Although risks in the world of business are unavoidable, they need to be managed properly and protected against. Not only can risks cost your company financially, they can also cost your company its reputation. Each year, hundreds of business owners across the country find themselves involved in costly lawsuits as the result of customer and employee accidents and injuries, and many of these situations become highly publicized, even if locally. As a result, such companies often end up spending great sums of money in court, but they also see a reduction in customer base, even if they win in court. Had these companies had risk management insurance, they might not have found themselves in such negative situations. Risk management insurance is a product that can protect a business in the event of an accident or an injury, and typically, it will be a combination of both risk management and business insurance. This unique amalgamation offers business owners peace of mind in knowing that if a customer or employee is hurt on the protected business’ property or properties, the damages are likely to be covered and a lawsuit is likely to be avoided. What makes risk management insurance unique, however, is that it also involves a proactive campaign to identify and eliminate or reduce risks. This step is crucial in ensuring that known, perceived, and expected risks are mitigated to the fullest. Having risk management insurance can be the difference between facing unnecessary expenses and remaining profitable. What Types of Risks Might Your Business Face? 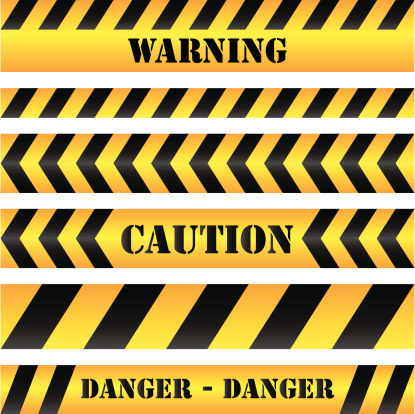 When it comes to risks in the workplace, almost anything can become a liability. For example, if your business provides company vehicles to employees, these vehicles need to be inspected and serviced properly and regularly. If they aren’t and an employee, customer, driver, or passenger is injured as a result, your business could be facing serious financial consequences. Likewise, the HVAC system or systems used at your company’s locations could cause a fire, air contamination, or heatstroke if not maintained and monitored properly. These risks could be reduced or eliminated by enacting a safety management plan, and once you’ve been able to satisfy the requirements, business insurance can then be there in the event that something happens. Keep in mind that failing to enact a safety management plan may be considered an act of negligence and result in your business insurance policy not remaining in effect. As such, it’s more important than ever to partner with a risk management insurance expert. Each moment that goes by without risk management insurance is one more moment that your company could be facing financial disaster and a ruined reputation. If you don’t carry risk management insurance or you’re unsure of your current level of coverage, you need to contact Poms & Associates, the experts in business insurance and risk management solutions. To learn more about how Poms & Associates can help, reach out now by using this convenient contact form.